The Next store at Eclipse Park in Maidstone is expected to be open in the second half of 2014, after formal notification of planning permission was granted. 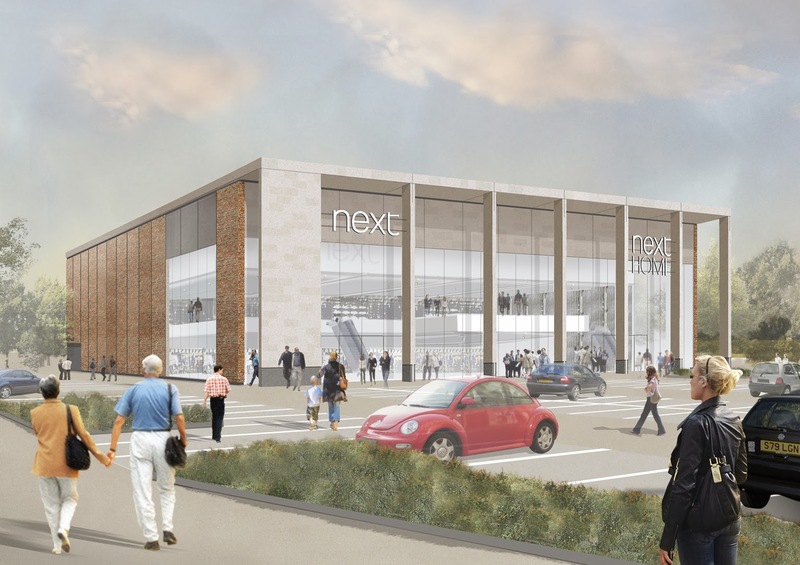 Maidstone Borough Council's Planning Committee considered the application for the new Next home and fashion store at Eclipse Park on Thursday 6 June 2013, when there was a resolution to grant planning permission. The council has subsequently approved the Section 106 and detailed conditions as recommended by the officers. Planning permission was formally granted on 31 October. It was previously referred to the National Planning Casework Unit as it is a departure from the Development Plan, and the NPCU confirmed it did not need to be called in. Councillors were supportive of the many economic benefits of the scheme, which represents an investment of more than £9 million into Maidstone and will create 180 new jobs, some of which will be transfers from the Next store in The Mall, Maidstone. The new store will be one of approximately 20 Next home stores to be built across the country and will offer a mix of homewares, DIY products and fashion in a state-of-the-art store constructed of brickwork, natural stone and feature glazing. The developer, GallagherGroup, was advised by DHA Planning.